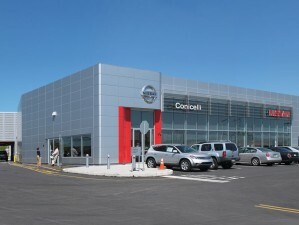 Construction of a new 35,800 SF dealership that included a state of the art, 23 bay service department. 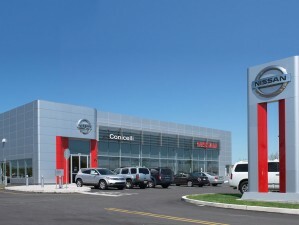 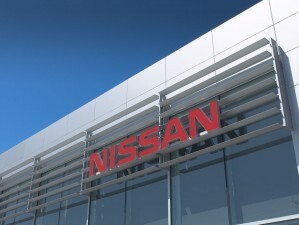 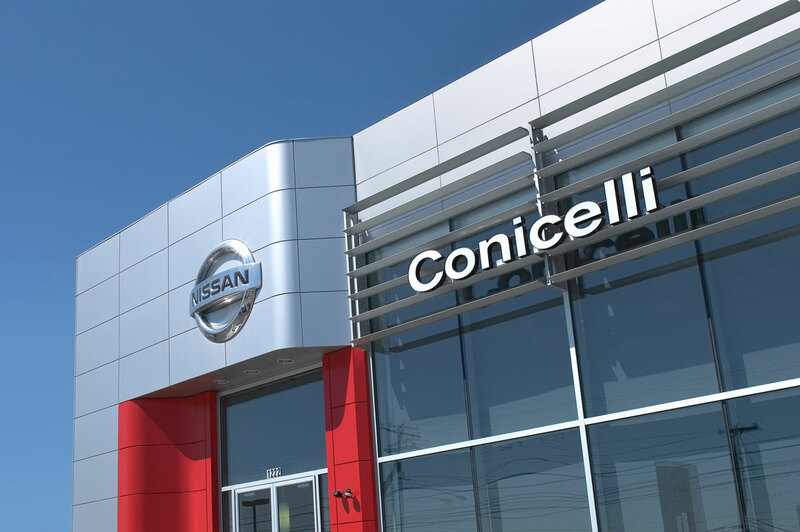 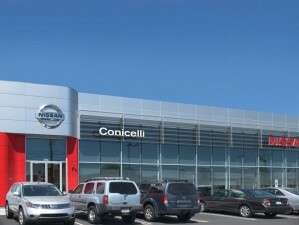 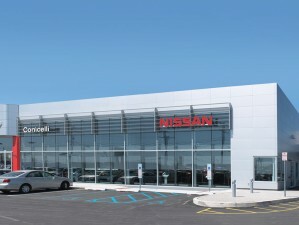 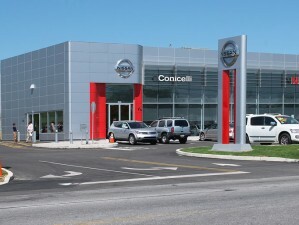 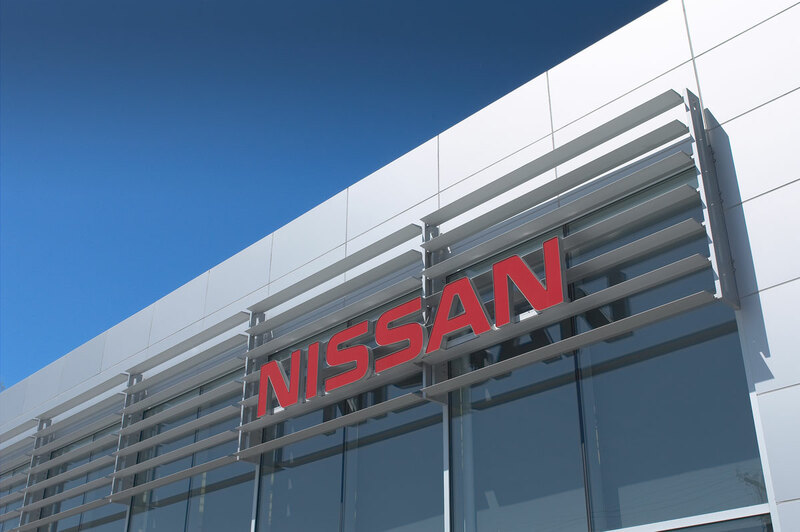 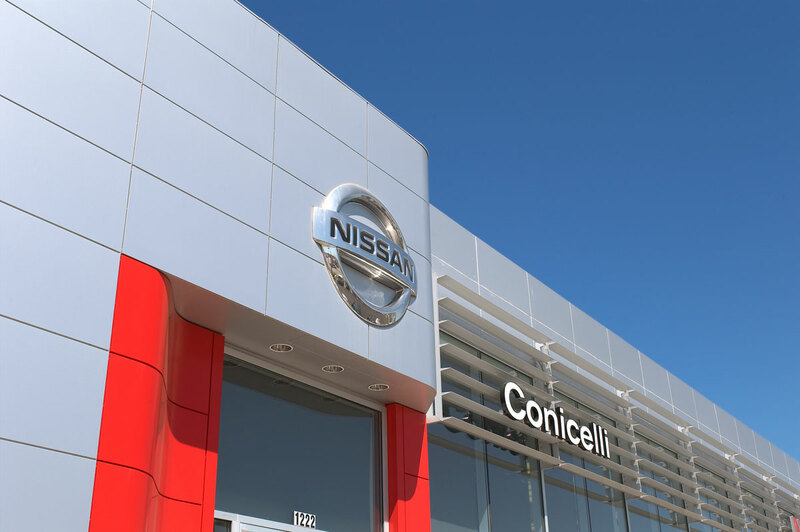 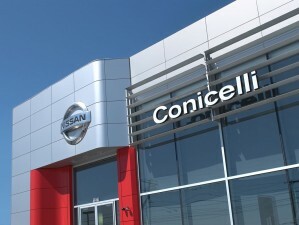 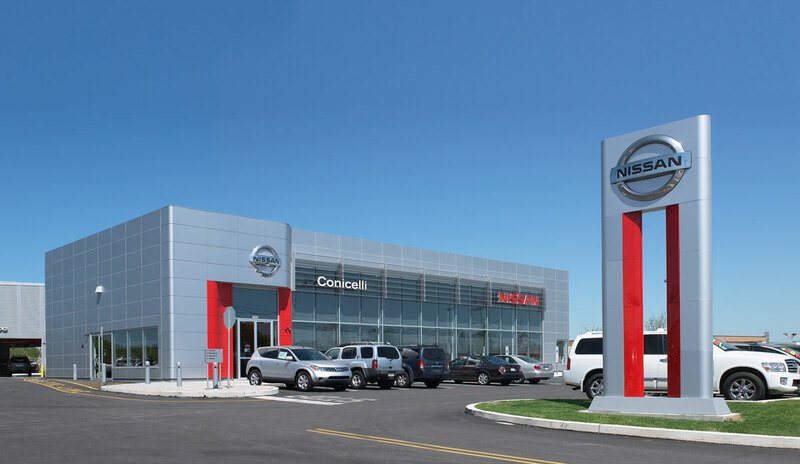 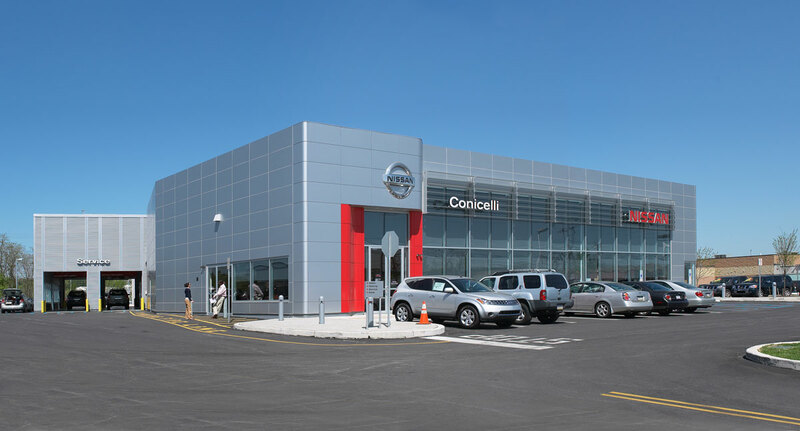 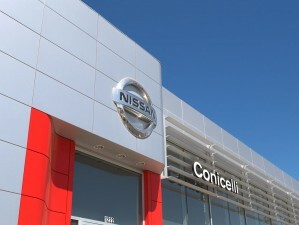 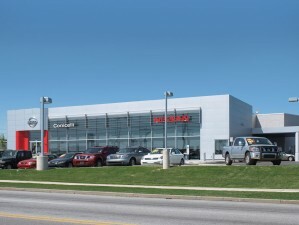 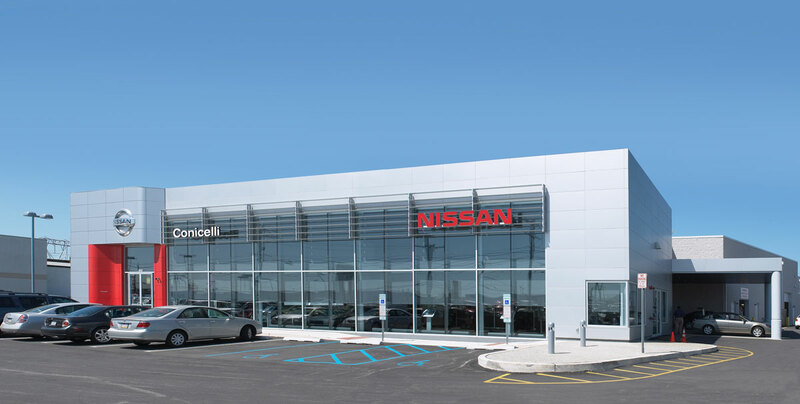 The exterior skin was comprised of aluminum panels, horizontal sun louvers and glass system that provided a modern feel that aligned with Nissan’s marketing approach. 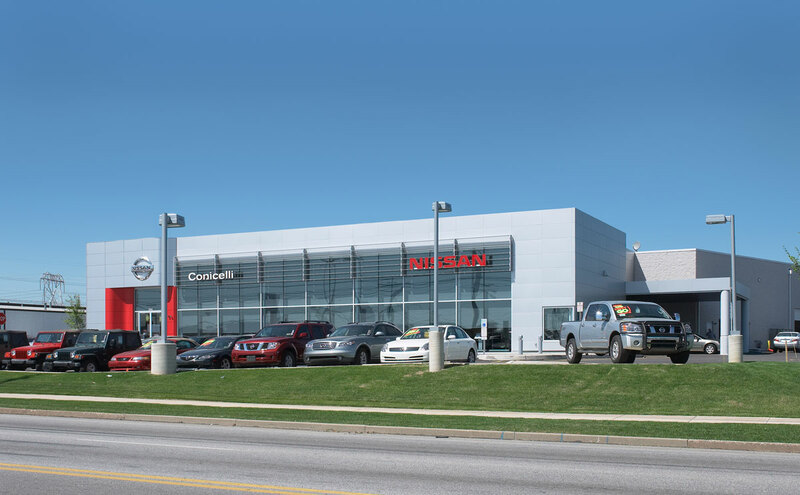 The open plan showroom utilized an extensive light fixture design that enhanced the appearance and sheen of the vehicles.